Washing a boat is not as easy as washing a car which is why Captain Max - avid boating enthusiast and the man behind Marine 31 - said let’s make it easy by incorporating real carnauba wax into a high-sudsing, easy-rinsing, environmentally-friendly boat wash. Marine 31 Gel Coat Wash & Wax with Carnauba was born and it exceeds all expectations set forth by Captain Max. Marine 31 Gel Coat Wash & Wax with Carnauba is the solution to protect your boat against UV-induced fading and discoloration. 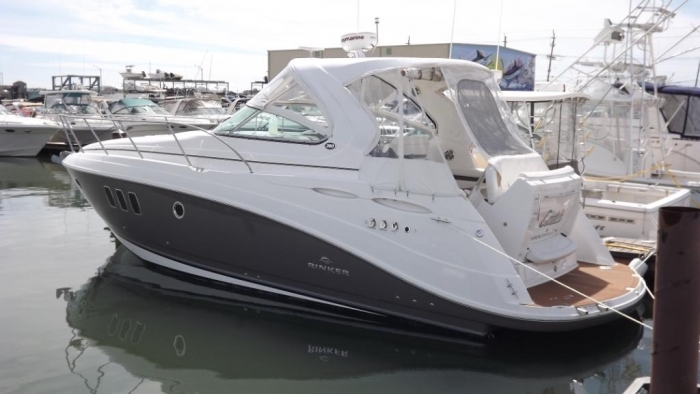 Just by regularly washing your boat with Marine 31 Gel Coat Wash & Wax with Carnauba, you keep the gel coat protected with advanced UV inhibitors and real carnauba wax. It’s that simple! 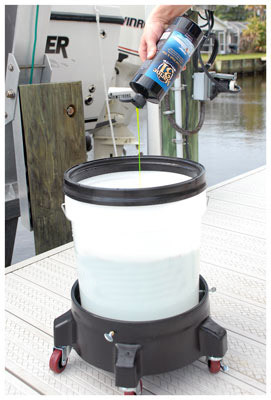 What’s more, Marine 31 Gel Coat Wash & Wax with Carnauba is harbor safe, biodegradable and VOC compliant. Tip from Captain Max: Few things make me happier than a clean, shiny boat. I’ve found that no other brush gets my boat cleaner faster than the Montana Original Boar’s Hair Wash Brush PLUS. This large brush is constructed of 100% boar’s hair bristles that safely lift, trap and wash dirt away from the surface. Add the telescopic handle for even easier washing. After I wash my boat I follow with a quick coat of Marine 31 Gel Coat Spray Wax Plus to further protect the finish against salt and UV rays. The added gloss and slickness is a bonus too! Working one section at a time, wash the surface using a high-quality wash mitt or boar’s hair wash brush. Worked very good cleaning my RV. 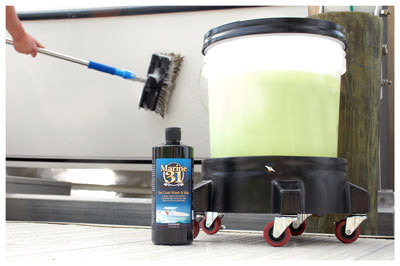 Excellent product did a great job cleaning and protecting my boat. I recently used this to clean a very dirty boat and it worked nicely. It easily removed the dirt, bird droppings and black streaks while leaving a nice shine.